Make Room—in partnership with NLIHC and other national leaders—is launching an exciting national campaign to send 1 million messages to Congress about the critical need to end housing insecurity in America. Through the November elections, national, state, and local organizations will share a common message: our nation is facing a housing affordability crisis of record proportions that demands Congressional leadership. All organizations and advocates are invited to join the campaign kickoff call to learn more about how to get involved. Please share this information widely. Make Room is a partnership between Enterprise Community Partners, MacArthur Foundation, Ford Foundation, CohnReznick LLP, and others to give voice to struggling renters and elevate rental housing on the agendas of our nation’s leaders. For more details about Make Room and the campaign, see Make Room’s website. 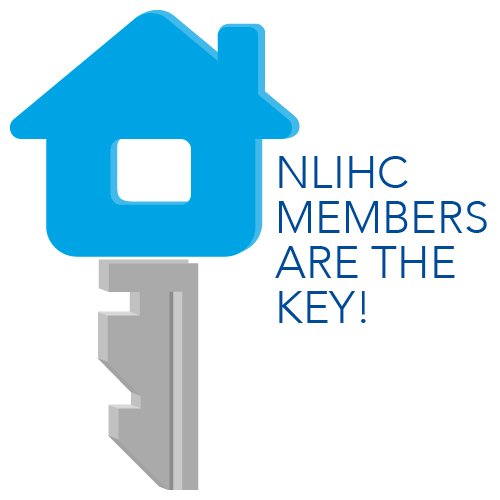 Last week, NLIHC released Housing Spotlight: America’s Affordable Housing Shortage, and How to End It. It’s a startling look into the depth of the affordable housing shortage facing extremely low income households, providing data at both the national and state levels showing the amount of housing needed is far greater than what is affordable and available to the lowest income renters. Prior to the release of our report, HUD released a summary of its report to Congress on the worst case housing needs. As the Seattle Medium notes, the report shows 8.48 million renter households experiencing the worst case housing needs– severely unaffordable housing, substandard housing conditions or both– which represents a 43.5% increase since 2007. The local CBS affiliate in Phoenix reports that due to the shortage of affordable rentals available to the lowest income people, three out of four of these renters will spend more than half of their incomes on housing costs. Foster’s Daily Democrat in New Hampshire reports on the HUD worst case needs report, and notes that while rents in the state are increasing, the data shows that vacancy rates are down, adding another layer of difficulty for lower income renters. While the data continue to show that low income renters face a severe housing shortage, the federal programs that help the poorest Americans with their housing needs are now subject to deep cuts. As the New York Times reports, sequestration, which took effect Friday, will result in hundreds of thousands of very poor households losing their housing assistance and becoming at risk of homelessness. Something very serious is about to hit the United States, and it’s not a stray meteorite from outer space. It’s got the potential to impact the life of every American, but it’s going to hit low income people hardest. And as much as everyone wants to stop it, no one seems to know how. What’s this very serious thing? It’s sequestration. These automatic, across-the-board cuts to federal programs were supposed to be the stick that got lawmakers to agree on a more reasonable deficit reduction plan. Instead, Members of Congress and President Obama have continued to disagree over how to avert sequestration, locking heads over whether or not to include new revenue as well as cuts in a plan to balance the budget. The New York Times notes that President Obama already agreed to $1.5 trillion in spending cuts last year, making it high time to consider new revenue as an alternative to ten years of indiscriminate budget cuts. Those on the far right have a different opinion. The Washington Post reports that a group called Americans for Prosperity are pushing House Republicans to allow sequestration to move forward. If you are a lawmaker in favor of limited government, they say, you should support the sequester. So what’s the potential impact on housing? Reuters reports from the Senate Appropriations hearing on sequestration Thursday that HUD Secretary Shaun Donovan warned that cuts to HUD would have a tremendous impact not just on housing, but on the financial future of the nation as a whole due to the impact of housing on the economy. Secretary Donovan called sequestration a “blunt instrument,” and said that if sequestration took place, hundreds of thousands of low income and formerly homeless people would lose their access to housing they can afford, and the Super Storm Sandy recovery effort would be threatened. Do you think Congress can act in time to avert sequestration? What alternative to sequestration do you want your Members of Congress to support? What do you think housing advocates can do to support better alternatives? Let’s talk about it in the comments. Poor-quality housing conditions are often a fact of life for the poorest Americans. Two stories this week show the impact this reality has on families, and the different ways the story plays out in private and public housing. On this blog, Senior Vice President for Policy and Research Linda Couch writes about family friends living in poverty and struggling for stability. Forced to leave the room they rented due to living conditions deemed unsafe by the local government, this family is hungry and nearly homeless. Linda knows all too well the conditions this family faces in the rental market, and wonders if there is a better life in their future. Often, residents of federally assisted housing live in poor condition similar to their low income counterparts in private rental housing. As an article in the Tampa Bay Times explains, years of cuts to federal spending on public housing means public housing agencies often don’t have the funds necessary to operate and adequately maintain their housing. In response, HUD launched the Rental Assistance Demonstration, which allows housing agencies to seek out private investors to raise the capital necessary to maintain high-quality housing. Housing officials and advocates alike acknowledge the risks of private funding, but with housing need growing and budget cuts a fact of life for HUD-funded programs, many housing agencies see no other choice.